Happy New Comic Day! Now go BUY some comics. 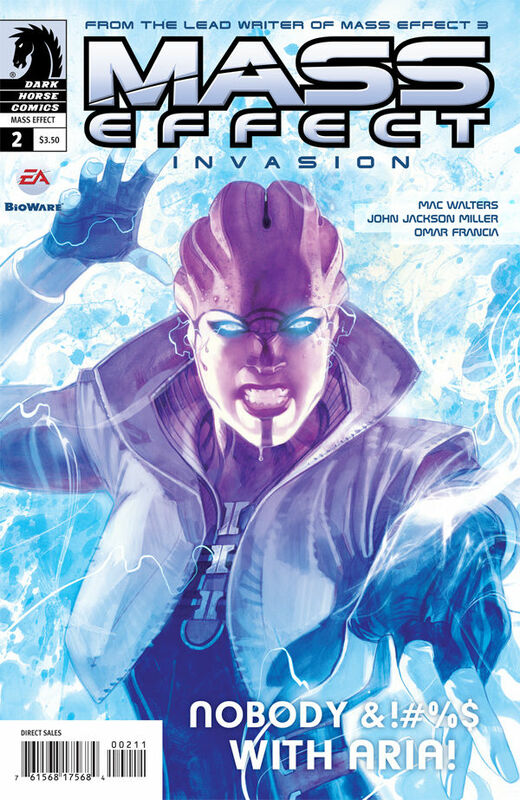 This week sees the cover of a book representing one of the best gaming franchises of this generation. 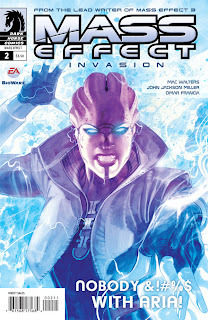 I present to you Mass Effect: Invasion #2. The credit for this lovely piece goes to Massimo Carnevale. It features Aria and she does not appear to be happy. Don't you just feel the energy from her? The colors are simply amazing. And look at those eyes? Beautiful.